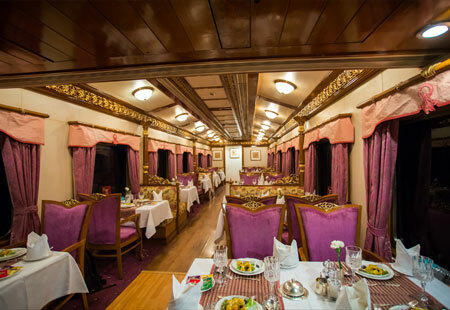 I always wanted to explore the Southern India, and when I heard about the luxury train Golden Chariot, I had to take a trip. 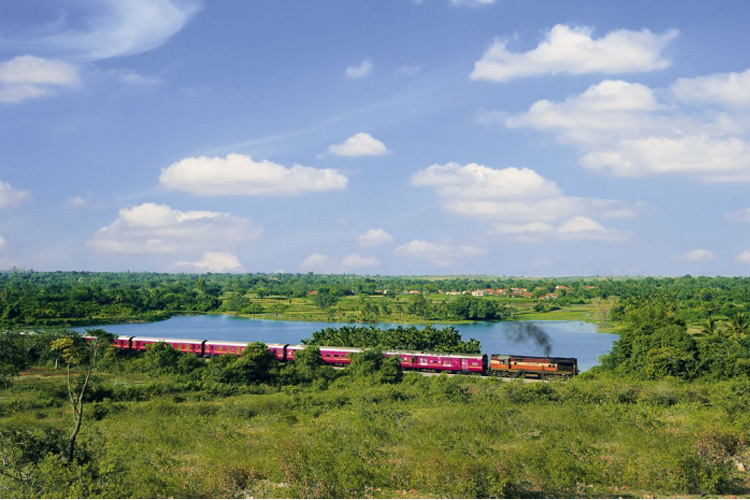 It is one of those trains in India that exclusively trail through the beautiful landscapes of the South. I could only imagine what it would be like to watch the misty panoramic sceneries pass me by as I sit by the window. The thrill of experiencing this region of India and the richness inside this special train set my heart racing. However, what enthralled me the most were the luxury-drenched facilities and services within the train. I could not help but marvel at the grandeur and thoughtfulness behind all that was incorporated in this train. Here is a glimpse of the things that stood out for me. Restful Cabins: The train holds a total of 44 cabins and 11 joined sleeping compartments that were a combination of 17 double bedded cabins, 25 twin bedded cabins, and one cabin for the physically challenged. The interiors of these spacious rooms mirrored the Hosalya Temple architecture from the 12th century. I was totally mesmerised by the intricate details and regal colour scheme of the decor. Each cabin comprised of an LCD television, a small wardrobe, private washroom, vanity desk, electric sockets, and 220 AC for recharging batteries. Relaxing Lounge Bar: Another area that thoroughly impressed me was the Cigar Lounge Bar known as Madira. The interiors of this space will simply blow your mind. 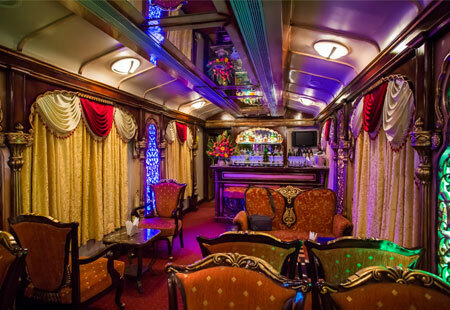 It is hard to comprehend how a luxurious 20th Century Mysore palace-inspired bar and lounge can be incorporated in a train. I loved having my cocktails here as I looked outside to soothe my eyes with the enchanting views. Royal Restaurants: Being a foodie, my mind immediately wanted to find out what the food scene was in there. When I arrived on the train, I realised that it had two dining cars- Nala and Ruchi. Both of them served a range of vegetarian as well as non-vegetarian delicacies that are full of local flavours. The decor reflected the grandeur of Halebid and Hampi temples. 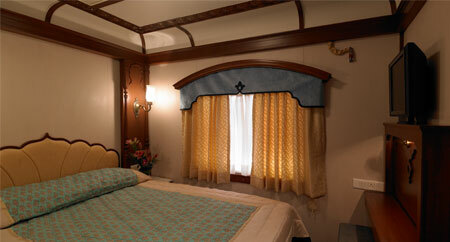 Rejuvenating Spa: The Golden Chariot Train had two spas, each of which offered massage therapies by professionals. I planned on indulging myself with one of their massage treatments that helped me relax my nerves and rejuvenated my soul. Here, I could feel myself leaving behind all the weariness that I had due to my busy work life. While I can go on and on about my experience on the Golden Chariot Train, I would like to thank Worldwide Rail Journeys for their user-friendly website that helped me book my tickets with ease and for providing me with an unforgettable journey.